Jeremy Corbyn was speaking on November 16 2015 as part of a longer interview you can see here. 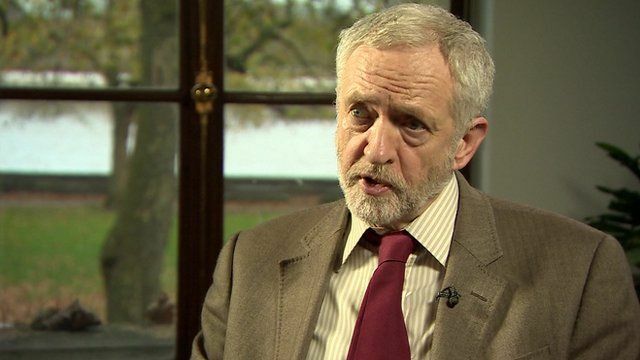 The Labour leader Jeremy Corbyn has said in an interview with BBC political editor Laura Kuenssberg he is "not happy" with a shoot-to-kill policy. In an interview three days after the Bataclan attacks in Paris, Mr Corbyn was asked if he was prime minister whether he would be happy to order police or military to shoot to kill on Britain's streets. Mr Corbyn told the BBC he was "not happy with a shoot-to-kill policy in general" and "the idea you end up with a war on the streets is not a good thing... I think that is quite dangerous and I think can often can be counterproductive". Update 7 June 2017: This clip was the subject of a complaint that was upheld by the BBC Trust. Although the finding was not about this page, because of renewed interest in it we have amended the text to remove any possible ambiguity.